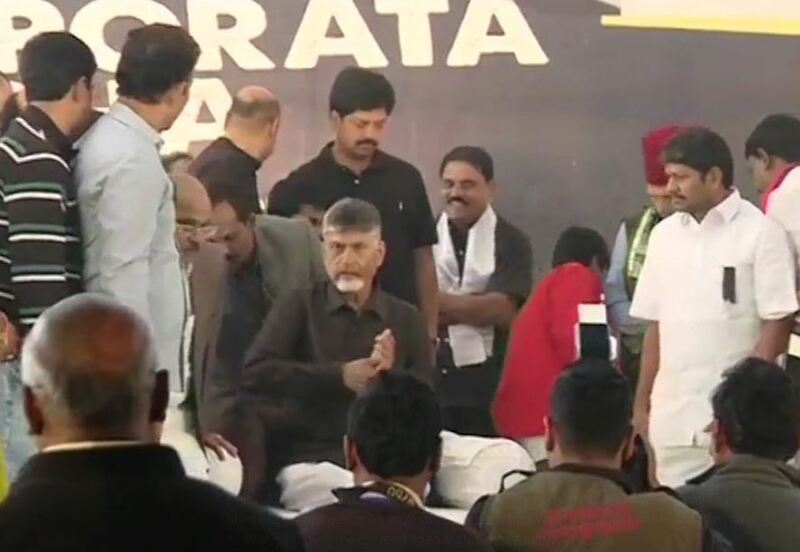 New Delh: Telugu Desam Party president and Andhra Pradesh Chief Minister N Chandrababu Naidu began his day-long hunger strike in Delhi on Monday. Dressed in black as a mark of protest, Naidu and his party members and ministerial colleagues paid floral tributes to Mahatma Gandhi at Rajghat ahead of the strike. Naidu is observing a hunger strike or 'Dharma Porata Deeksha' (a day-long protest for justice) against the central government over the issue of special status to Andhra Pradesh.